Lizette Perez is a legal assistant and paralegal. Her paralegal practice is focused exclusively in assisting attorneys with all aspects of insurance litigation, including preparation for depositions, drafting documentation and document production. Some of the clients Ms. Perez has assisted with include St. Paul Travelers Insurance, First Floridian, Mt. Hawley/RLI, The Hartford, Northland Insurance and Fireman’s Fund Insurance Co.
Ms. Perez also has experience assisting in commercial litigation, real estate litigation, intellectual property litigation and products liability matters. Ms. Perez joined Hinshaw & Culbertson LLP in October 2001. 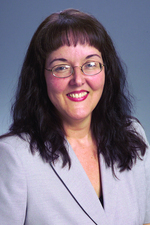 She began her career in the legal industry in 1982 with Blackwell Walker Fascell & Hoehl. From 1984 to 1989, she was a legal secretary at Fowler White Burnett Hurley Banick & Strickroot, P.A..
From 1989 to 1995 Ms. Perez was a legal secretary and assistant in the Miami office of McDermott Will & Emery, and then spent one year each with Feldman Gale & Weber, P.A., and Akerman, Senterfitt & Eidson, P.A. Prior to joining Hinshaw, Ms. Perez was for three years a legal assistant at Sweetapple Broeker & Varkas, in Miami. In May 2002, Ms. Perez was certified as a paralegal and legal assistant by the National Association of Legal Assistants, Inc.